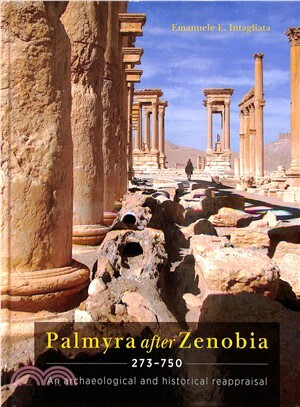 This book casts light on a much neglected phase of the UNESCO world heritage site of Palmyra, namely the period between the fall of the Palmyrene ‘Empire’ (AD 272) and the end of the Umayyad dominion (AD 750). The goal of the book is to fill a substantial hole in modern scholarship - the late antique and early Islamic history of the city still has to be written. In late antiquity Palmyra remained a thriving provincial city whose existence was assured by its newly acquired role of stronghold along the eastern frontier. Palmyra maintained a prominent religious role as one of the earliest bisphoric see in central Syria and in early Islam as the political center of the powerful Banu Kalnb tribe. Post-Roman Palmyra, city and setting, provide the focus of this book. Analysis and publication of evidence for post-Roman housing enables a study of the city’s urban life, including the private residential buildings in the sanctuary of Ba’alshamin. A systematic survey is presented of the archaeological and literary evidence for the religious life of the city in Late Antiquity and Early Islam. The city’s defenses provide another focus. After a discussion of the garrison quartered in Palmyra, Diocletian’s military fortress and the city walls are investigated, with photographic and archaeological evidence used to discuss chronology and building techniques. The book concludes with a synthetic account of archaeological and written material, providing a comprehensive history of the settlement from its origins to the fall of Marwan II in 750 AD.